This website is devoted to Disruptive Innovation and technological change. Historical and contemporary observations are combined with both academic and more managerially oriented perspectives. The image above comes from Kodak’s abandoned site north of Stockholm, Sweden (more photos available here). An economist and engineer by background, Associate Professor Christian Sandström wrote his PhD thesis (2010) on Disruptive Innovation (available online here). Based on historical studies of technological change in e.g. the camera industry, the calculator industry and video surveillance he developed new theory on the topic. 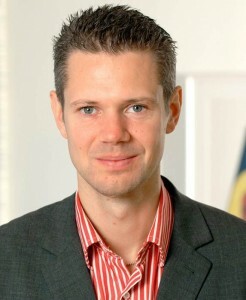 Professor Sandström currently works at Chalmers University of Technology, the Ratio Institute and Jönköping International Business School, Sweden. He has been a visiting scholar at Victoria University in New Zealand, ETH in Switzerland and at the University of Cambridge doing research on the disruptive potential of 3D Printing. More recent publications concern the sharing economy’s impact and the interplay between technology and institutional change in the telecommunications sector. He currently serves on the board of A3CERT. Sandström’s thesis was awarded a three year postdoctoral scholarship from Jan Wallanders and Tom Hedelius’ foundation at Handelsbanken (2011). His research has been published in some of the leading academic journals on economics of innovation and technology management (more info here). An appreciated public speaker, Dr. Sandström was in 2009 awarded as the best lecturer by industrial engineering students at Chalmers. here., a Google Scholar profile can be found here. You can view his presentations on Slideshare here.